Bridge Wallpaper is an excellent quality photo wallpaper of a bridge. It is wallpaper set containing wallpapers to fit various screen resolutions. Bridge Wallpaper set is created by tonvanalebeek. It is a ZIP download, the file is 4.2 MB in size. This Article Has Been Shared 3119 Times! The Customize Windows Branded Wallpaper is a carbon fiber wallpaper with fine ripple effect and our logo. The Customize Windows Wallpaper is created on request. 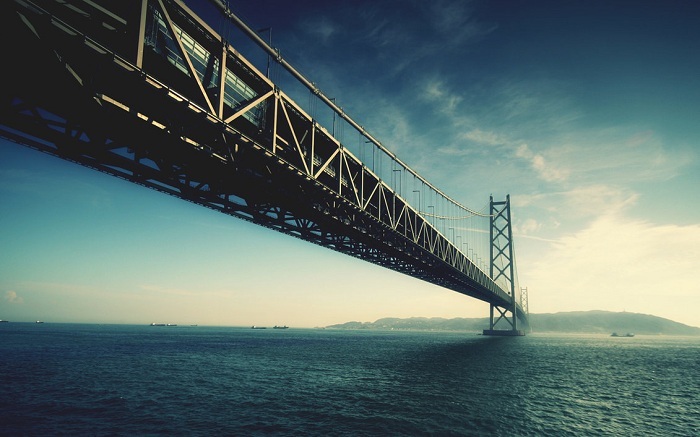 Cite this article as: Abhishek Ghosh, "Bridge Wallpaper for Various Screen Sizes," in The Customize Windows, February 16, 2012, April 25, 2019, https://thecustomizewindows.com/2012/02/bridge-wallpaper-for-various-screen-sizes/.